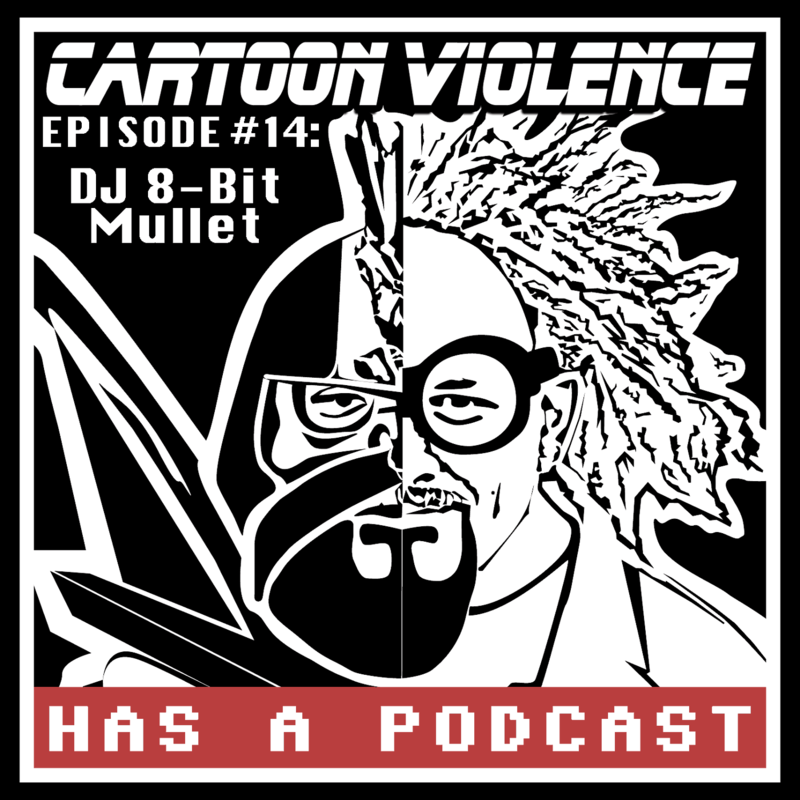 For the first episode of Season 2, we go from West to East coast and talk to DJ 8-Bit Mullet, AKA The Artist Formerly Known as Big Al. We catch up with him and find out what he’s been up to since releasing Big Al’s Jams: Big Album in 2014, which turns out to be DJ 8-Bit Mullet’s retro mixes. His latest mix comes out this month, and is called The Low End Yoshi, a mashup of Yoshi’s Wooly World and A Tribe Called Quest. For our top 5 list this month, we discussed our favorite Prince songs and sang our hearts out in memoriam. tweet us your own top 5 Prince songs using the hashtags #cv5 and #princesongs! This month we also have two promotions going on. First, if you post a photo wearing one of our 12 new shirts from our online store then Professor Robot will draw you as a taco. Second, visit our YouTube Channel to watch Professor Robot’s beatboxing LootCrate unboxing videos, then follow us on Twitter @CartoonViolins and tweet at us why you should be sent the items from the LootCrate. If you’d like to get your own LootCrate subscription, use our special link http://lootcrate.com/weekingeek and enter the offer code WIG to get 10% off your subscription.